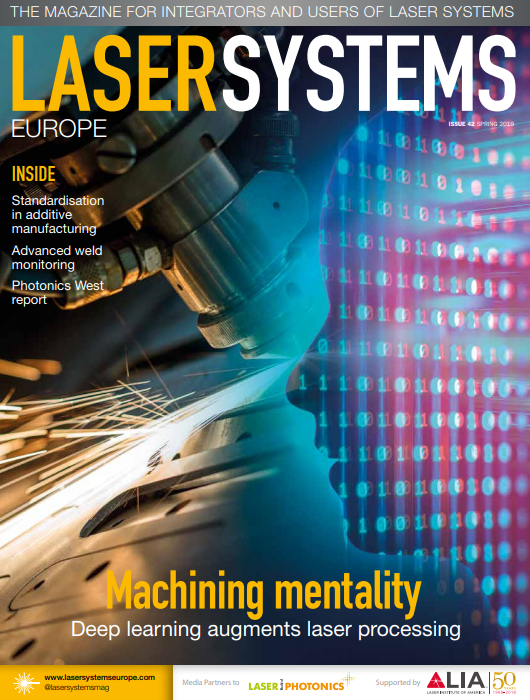 Photonics Systems Group, a manufacturer of laser machines for micro-material processing, and owner of Innolas Solutions, has acquired LS Laser Systems, a provider of laser solutions for marking, trimming and micro processing. OpTek Systems has been acquired by Safety Technology Holdings, a portfolio company of UK-based private equity firm Bridgepoint. Financial terms of the agreement were not disclosed. nLIGHT, has introduced the element e24i, a 400W fibre-coupled package small enough to fit in the palm of your hand. II‐VI Incorporated has introduced a new generation of pump laser diodes that achieve a high output power of 22W from a single chip.